Image Credits: Kevin Dietsch - Pool/Getty Images. Michelle Obama is likely preparing for a 2020 presidential run and could enter the race under favorable circumstances, asserts Rush Limbaugh. The talk radio host also believes that should the former First Lady throw her hat in the ring, she would instantly overshadow other prominent hopefuls such as Kamala Harris, Joe Biden, and Howard Schultz. “And if the right shoes drop and the right things happen, I think Michelle will be in there, and the proof of the pudding is by the utter denial, but all the books and all of the speeches and the all of this and the all of that…” said Limbaugh, alluding to Obama’s recently released autobiographical memoir and wildly popular publicity tour. While Obama has repeatedly denied any intention of running for president during the 2020 cycle, many believe she could enter the race at any time and have a legitimate shot at winning. 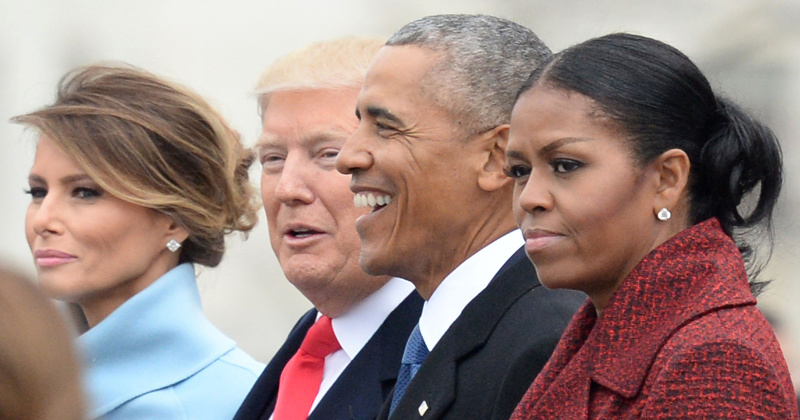 Michelle Obama was named the “Most Admired Woman” in America in 2018 by Gallup voters, dethroning Hillary Clinton after a 17 year run at the top. In fact, with 15% of the vote, Obama topped Oprah Winfrey, Hillary Clinton, and Melania Trump – combined.